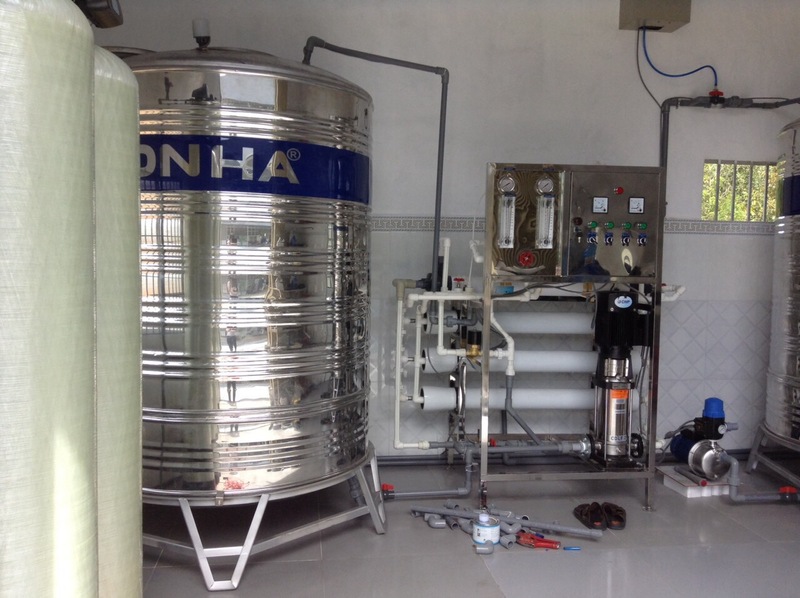 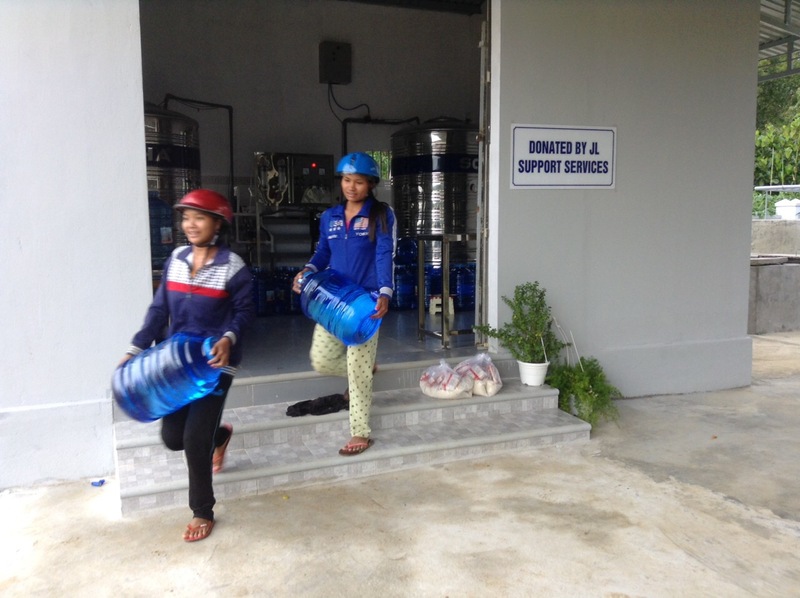 On July 24, 2016 we opened a new water factory for the poor villages in Khanh Son district. 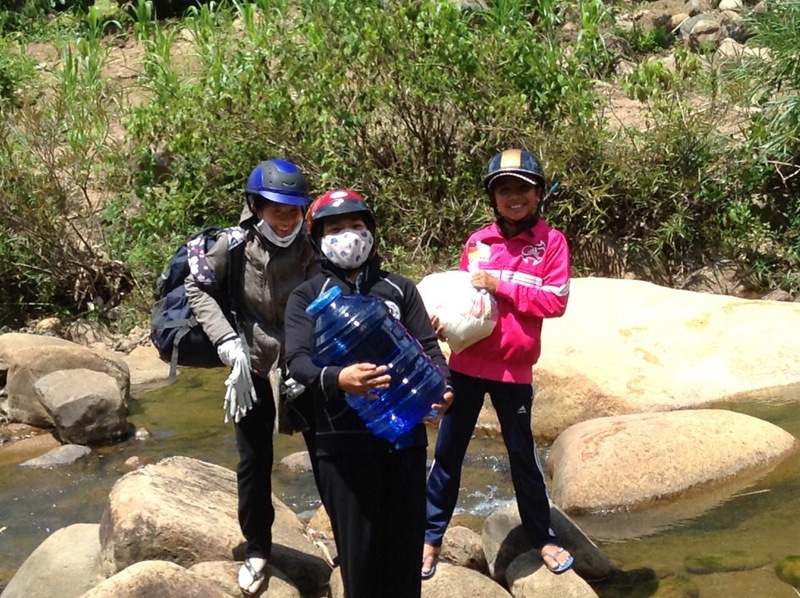 These poor communities are composed of Raglai ethnic minorities who live in poverty in the mountainous regions of Khanh Hoa province, far to the southwest of Nha Trang. 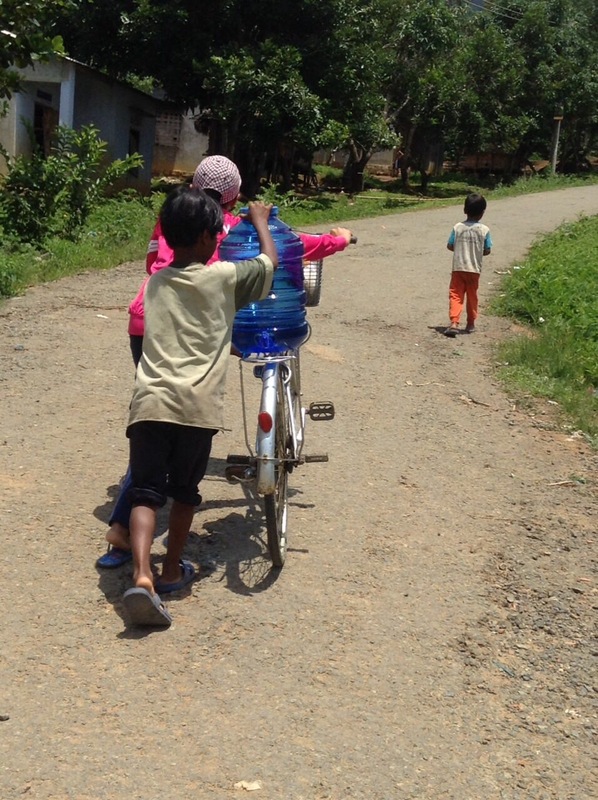 The families are primarily farmers, with little to no access to modern amenities. 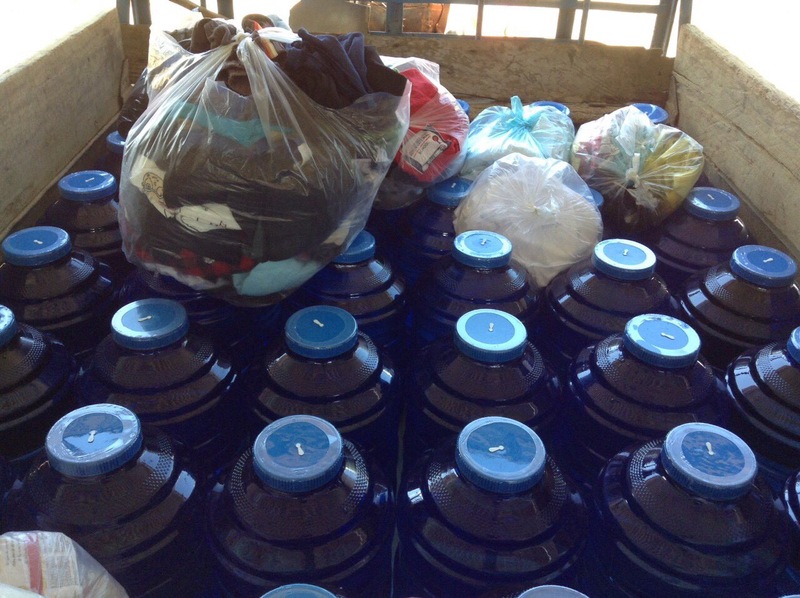 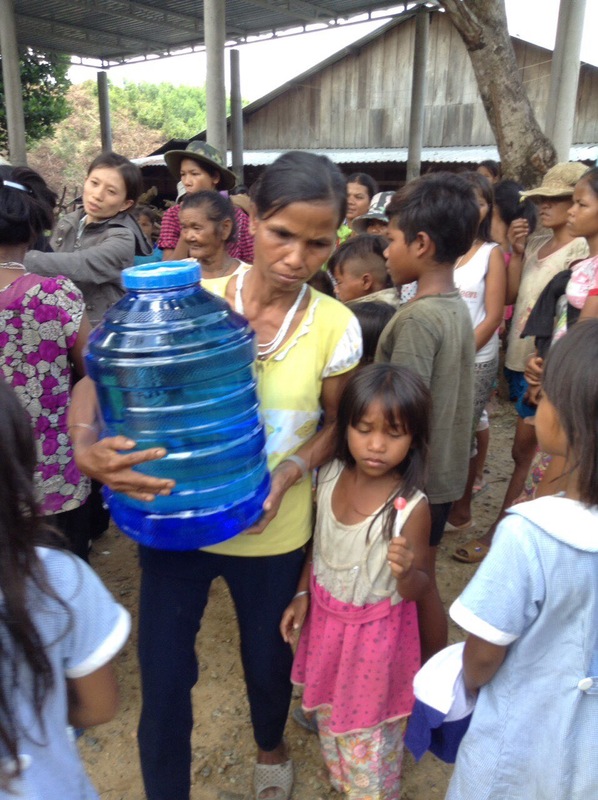 One of the basic necessities that the poor families lacked was access to clean drinking water. 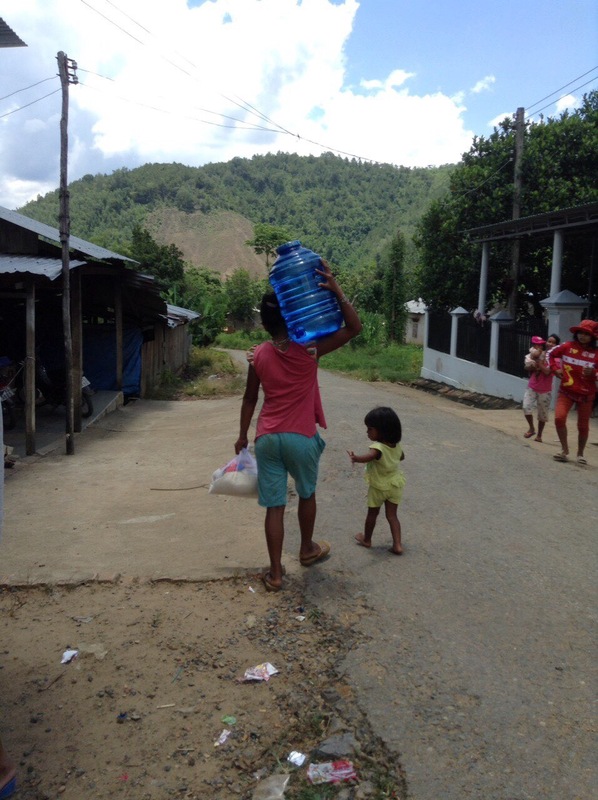 Some poor families drank water straight out of the river, endangering their health. 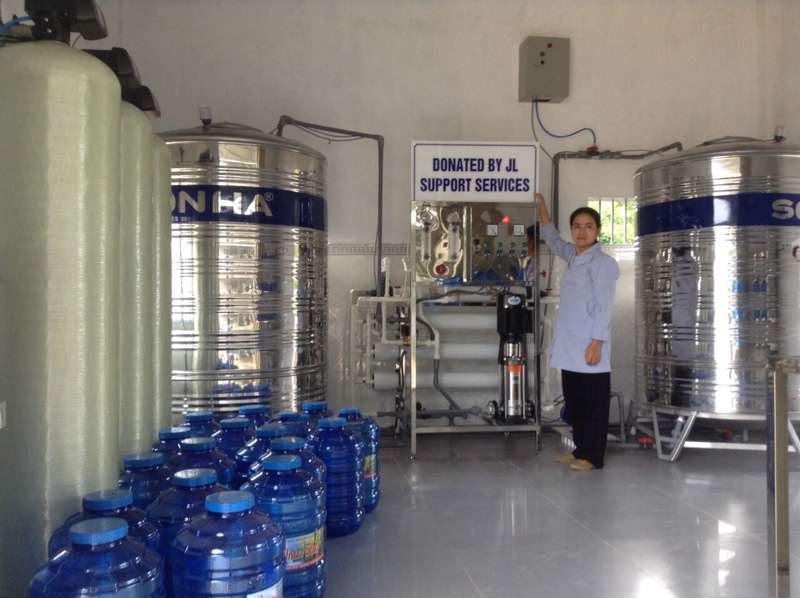 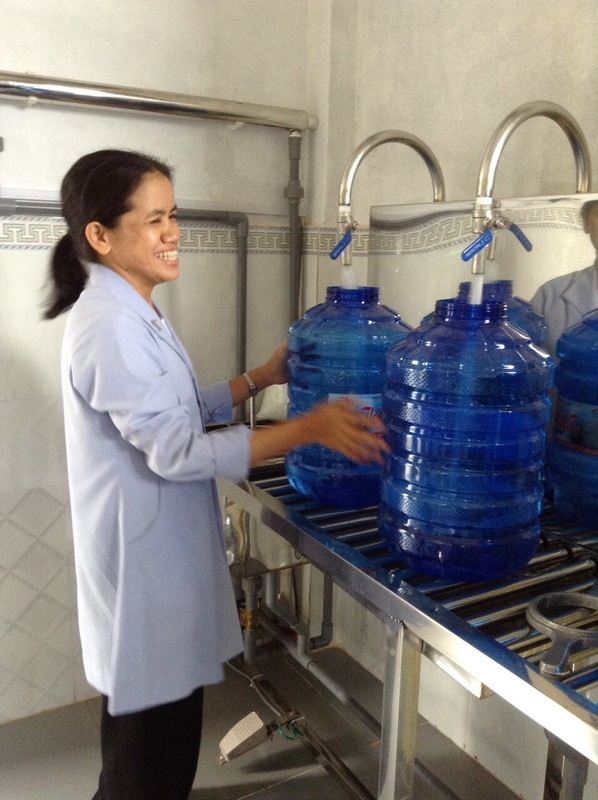 Our coordinator, Sister Huong, approached us about funding a non-profit driven factory that would purify water, and package it in reusable 20-liter bottles for families to use. 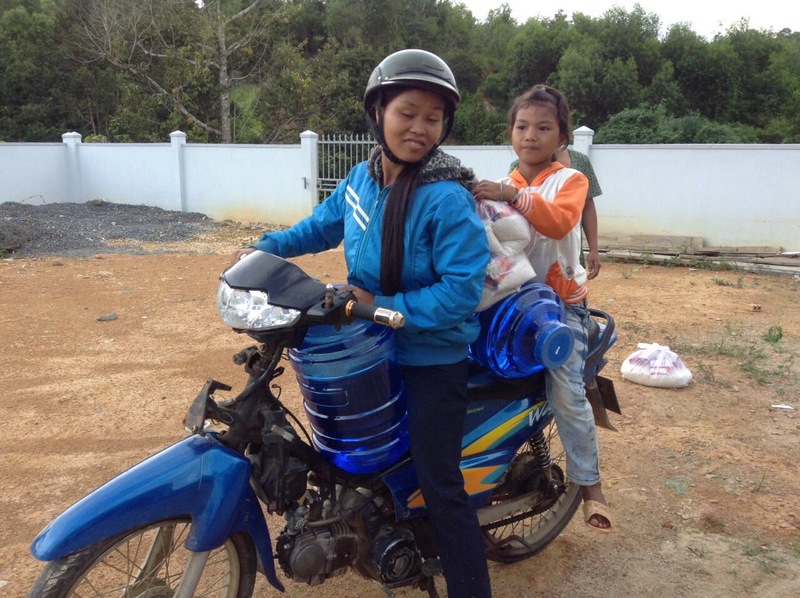 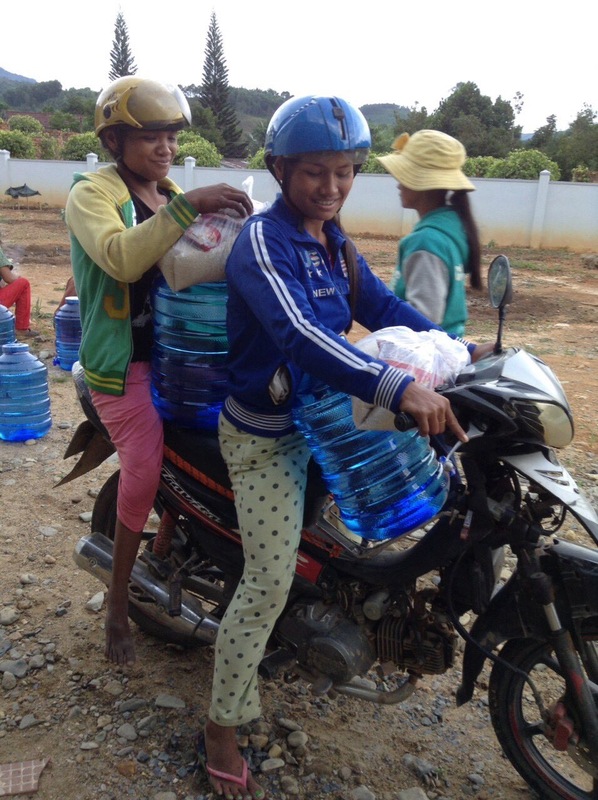 These 20-liter bottles are available in the larger towns of Khanh Son, but the cost of $1 per refill is often too much for many families to bear. 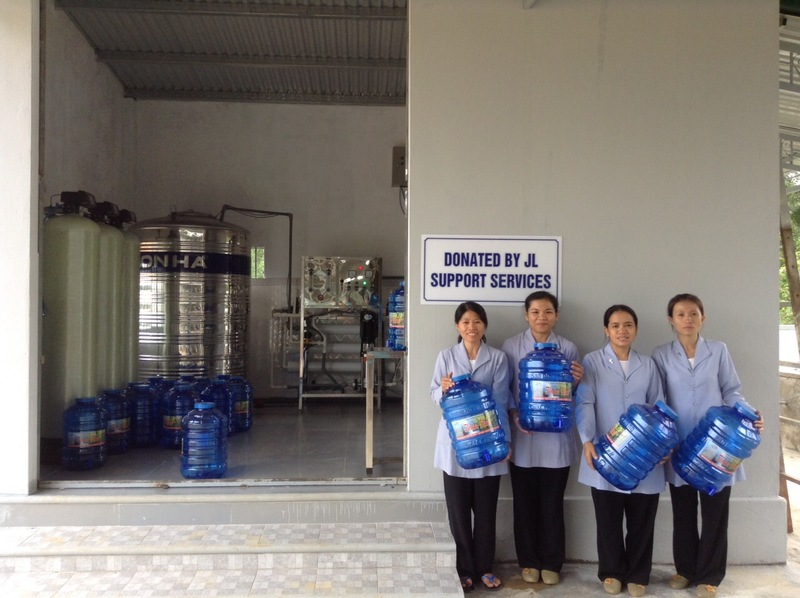 We agreed to sponsor the project of building a small facility, and everything necessary to complete Sister Huong’s water factory project. 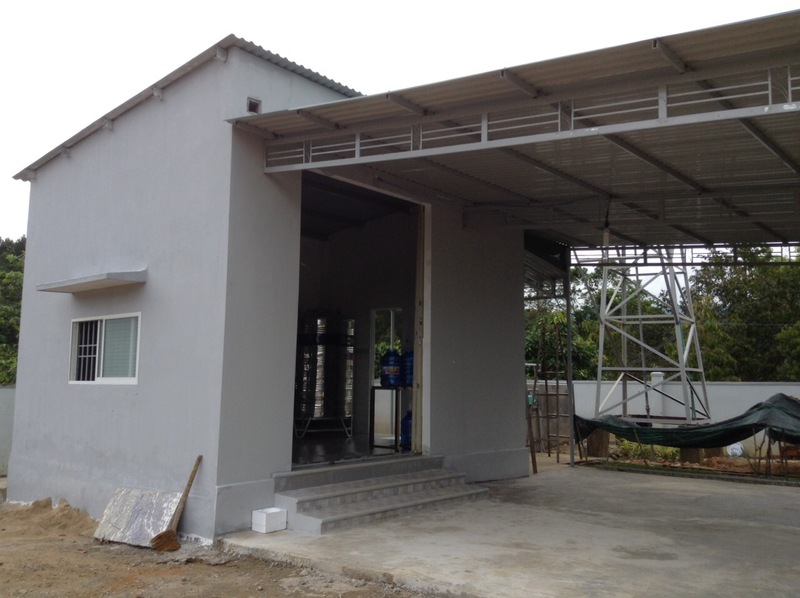 After several months, the factory was open for business! 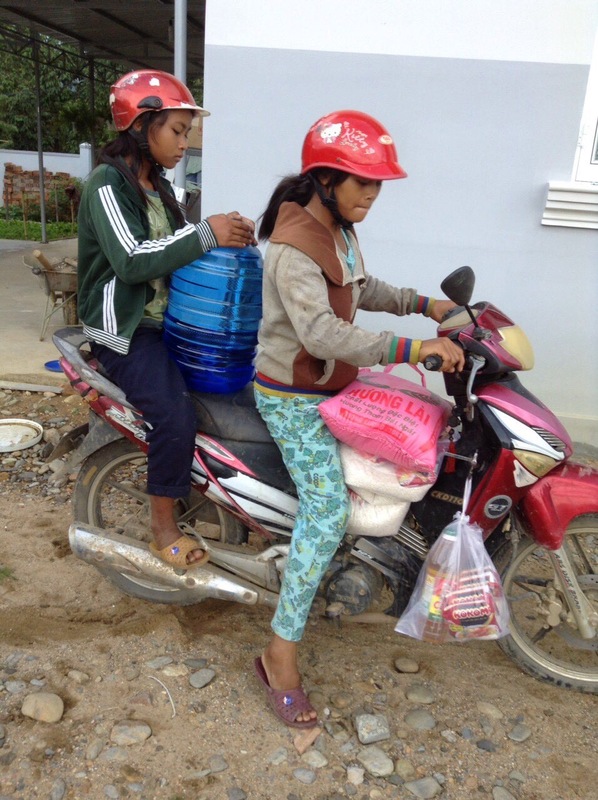 We did careful calculations to ensure that the factory would be self-sustaining, and the cost price for a refilled 20-liter bottle came to .17 cents, which is all that is charged for families. 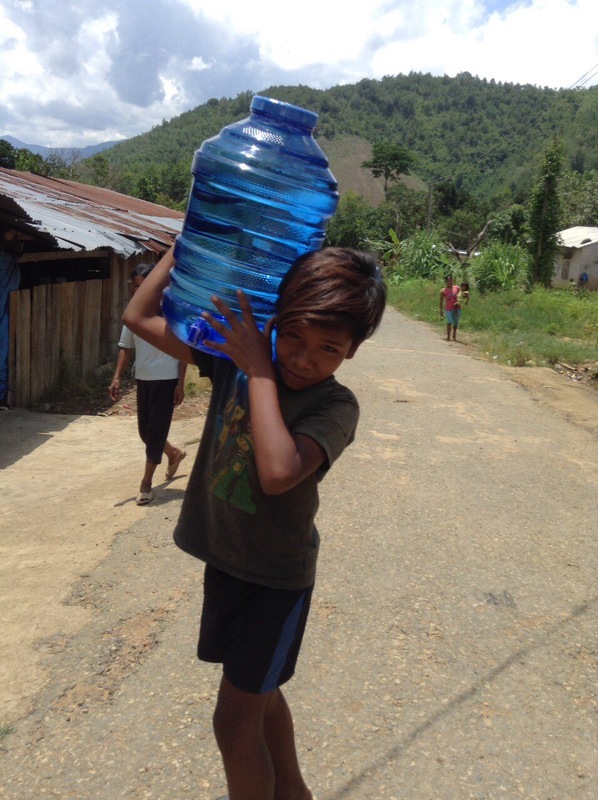 For those who cannot afford that amount, the cost is waived. 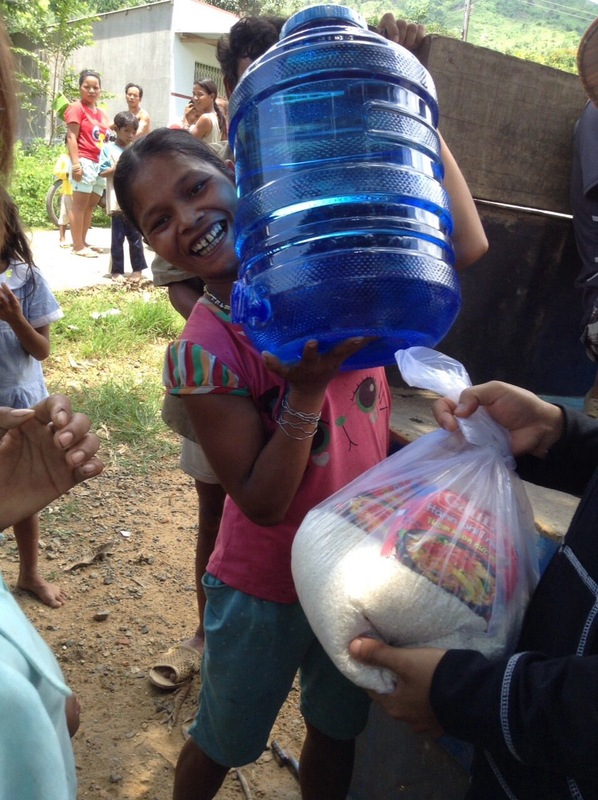 On opening day, 158 families received fresh clean drinking water! 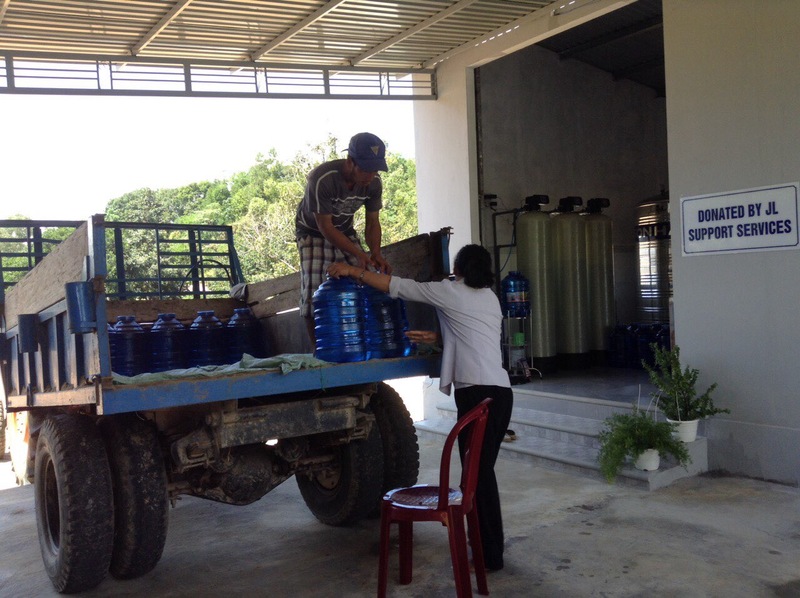 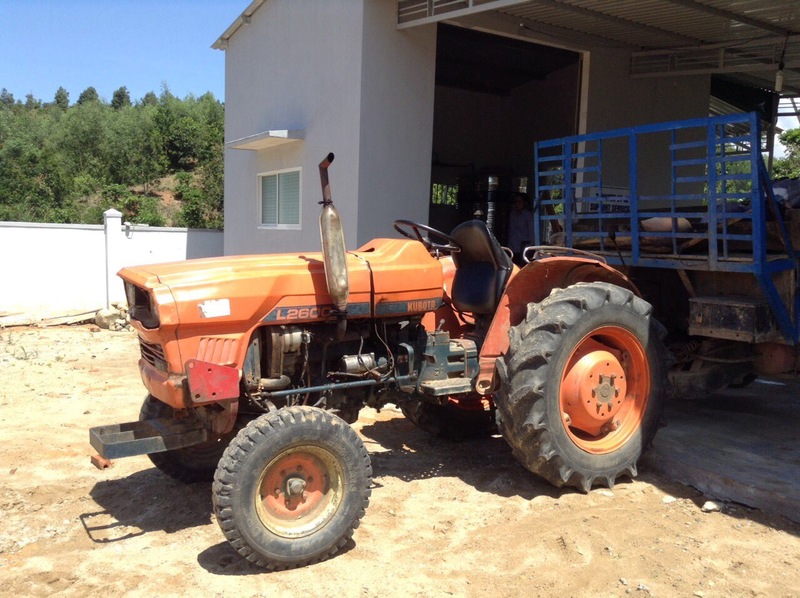 Some came directly to the factory, but most had their water delivered by tractor with a trailer. 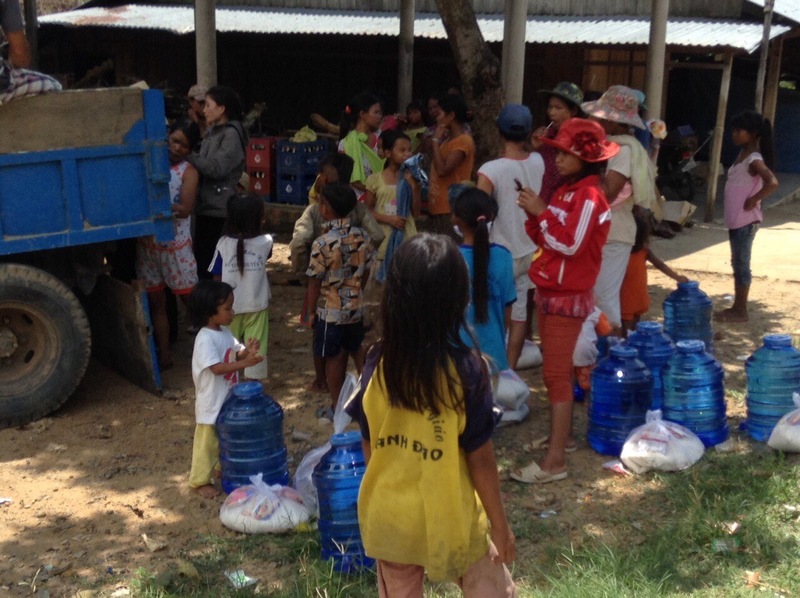 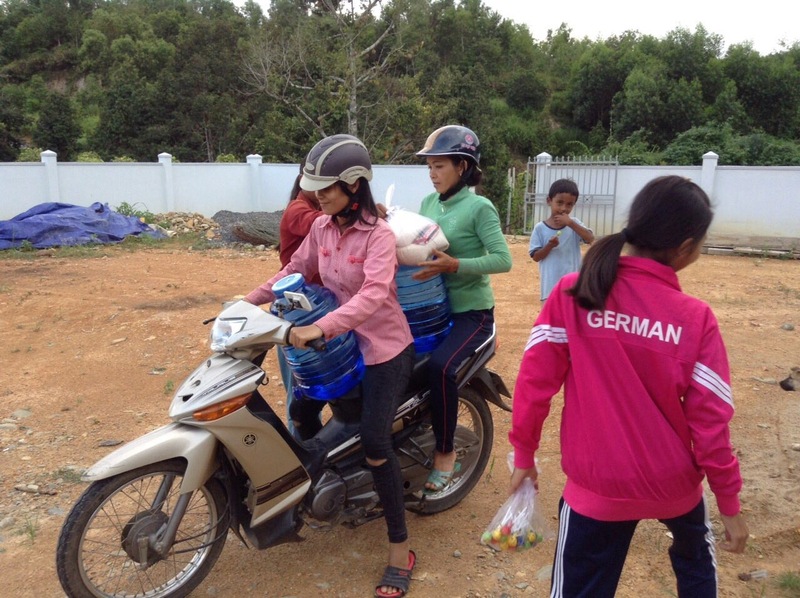 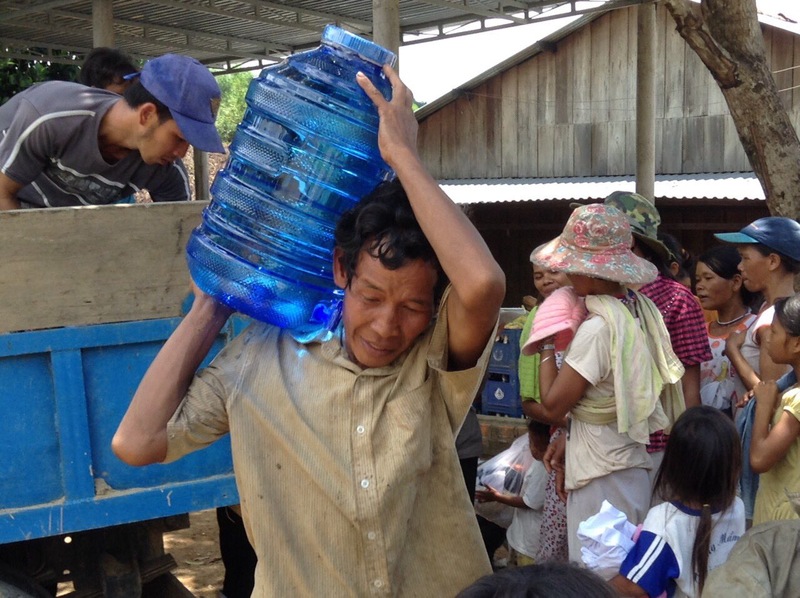 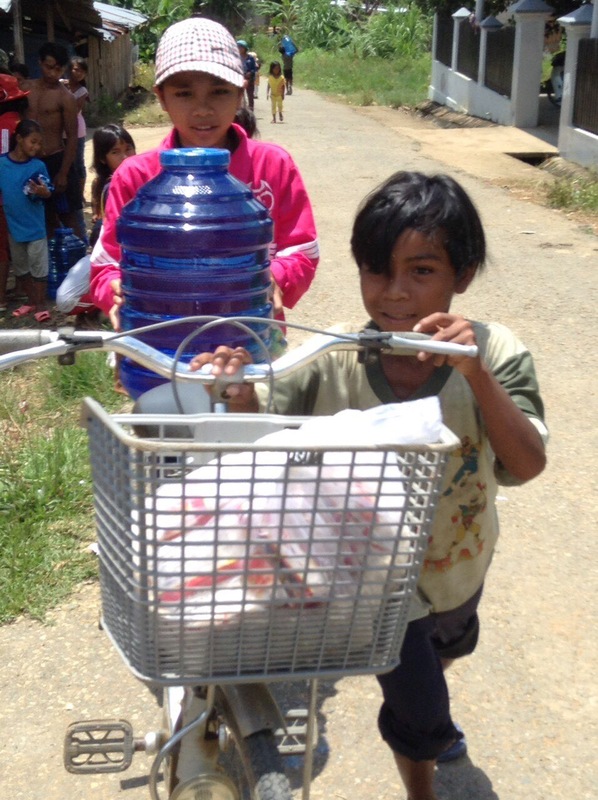 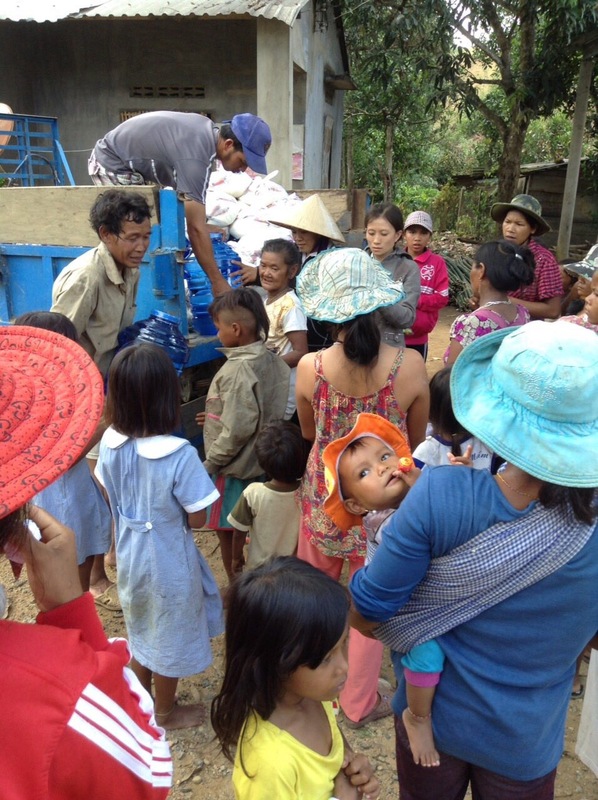 The nuns loaded up the trailer, and we brought the water to the surrounding villages. 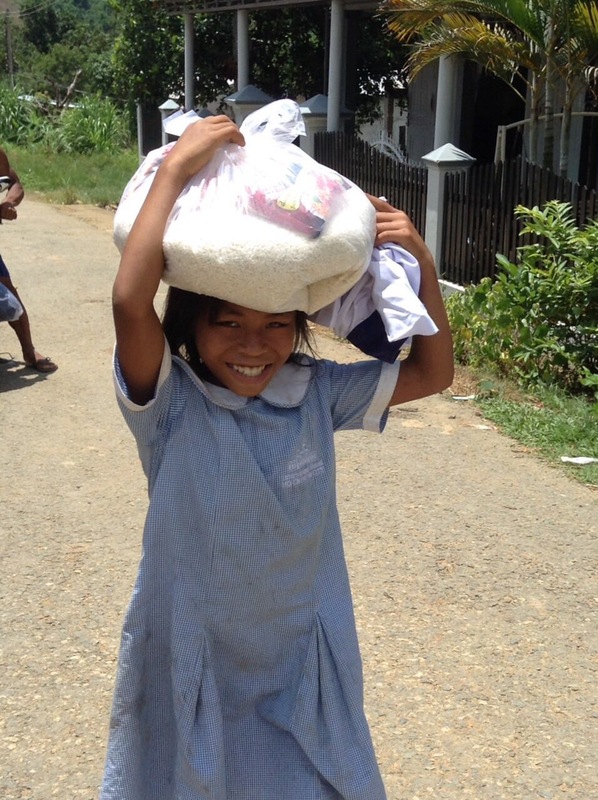 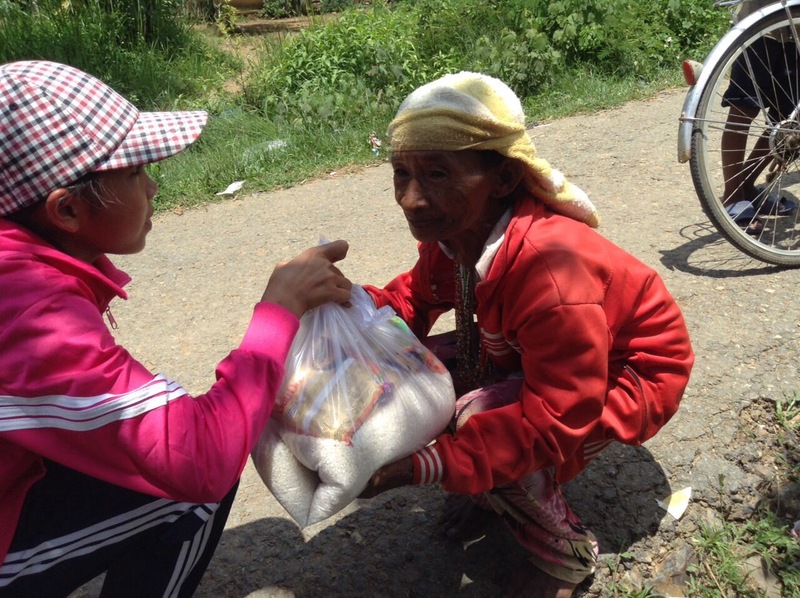 We also gave out bags of rice and other necessities to the poorest families. 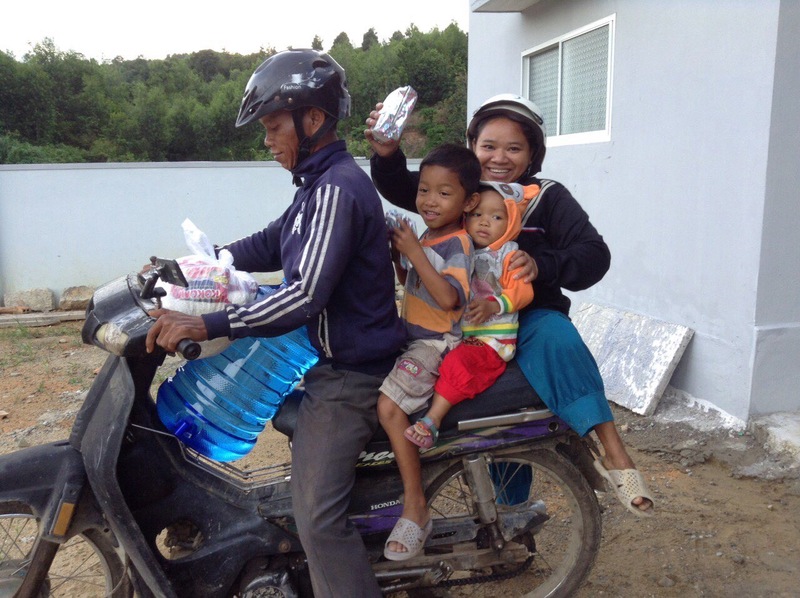 For some households consisting of elderly couples, we delivered the bottles to their homes. 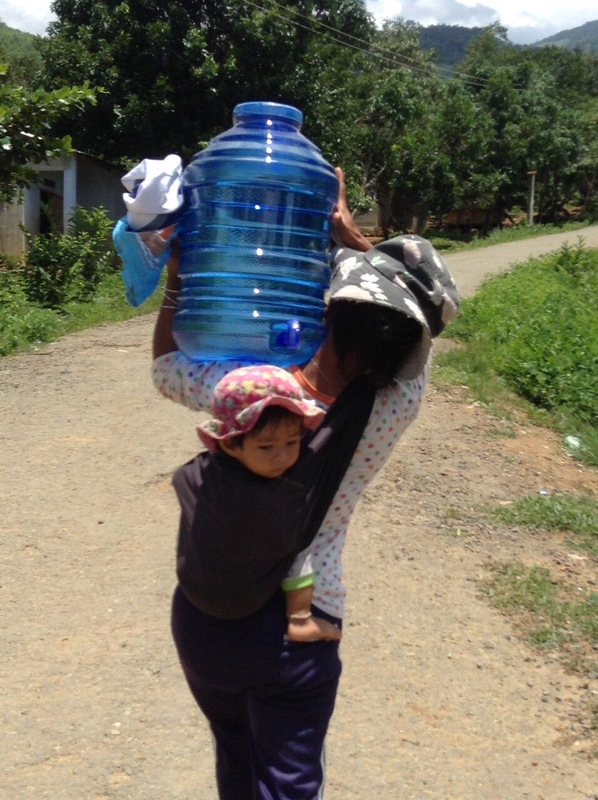 In the villages, the children were very excited to be receiving the water, and jumped right in to help out. 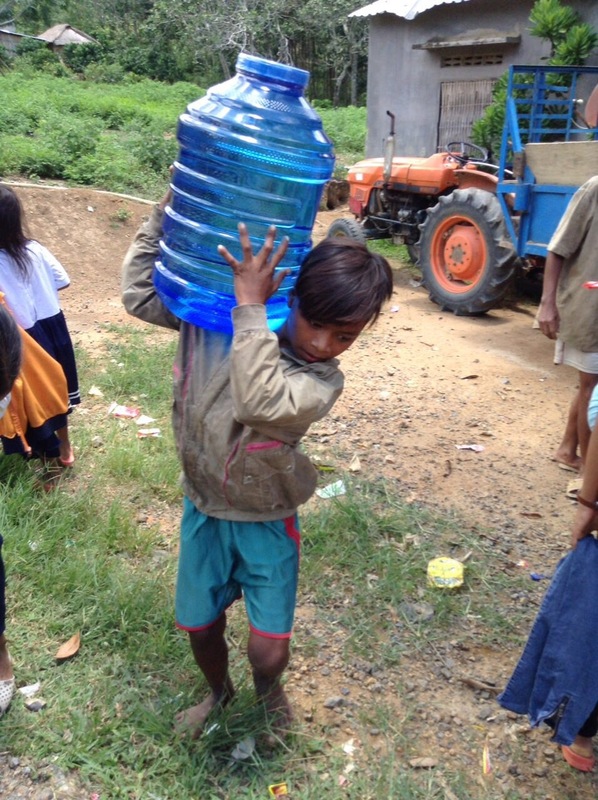 To bring clean water to those most in need filled us all with joy. 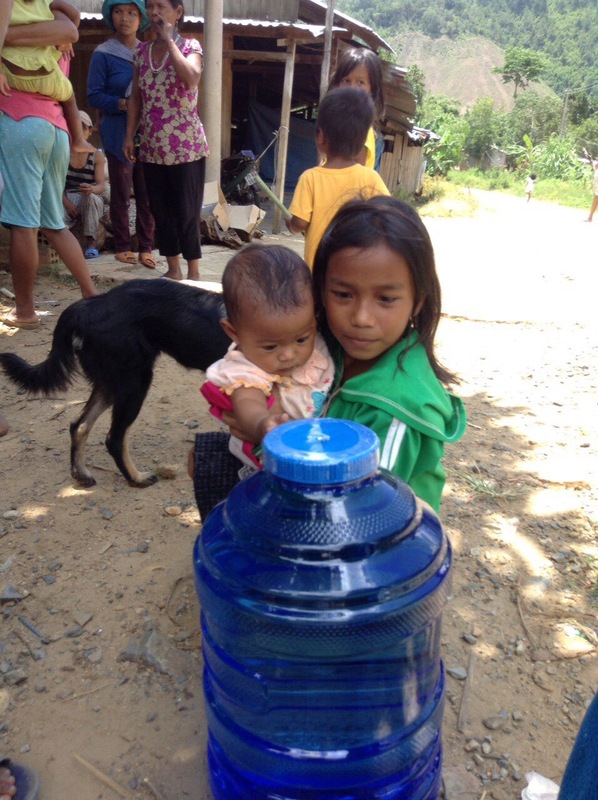 Children and their families can now have clean drinking water, some for the first time in their lives. 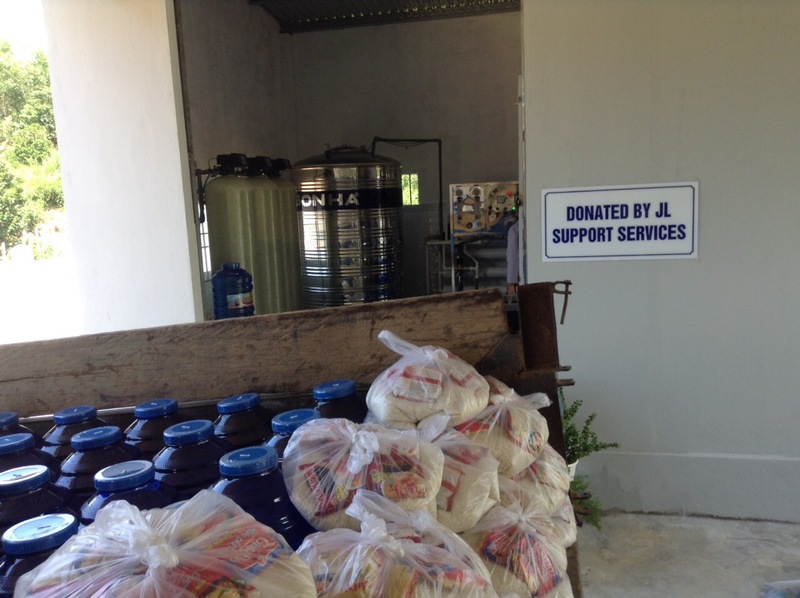 This amazing project was sponsored by the love and devotion of JL Support Services.